This blog post is the first instalment in a two-part series written by our CEO Lyn Gould about exciting new developments for Butterfly Children’s Hospices. “Yesterday I wept silent tears again. 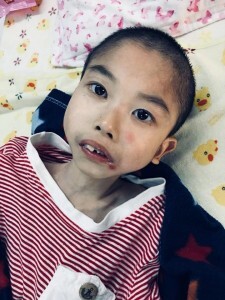 I was having a meeting in the orphanage with the head doctor discussing our new project to help fragile children, when I saw Winter Snow – Snowy. She is 12 years old and like a little sparrow, so thin, so weak, so fragile. I spent the night thinking about her, in the morning I saw her again – her eyes were alert and made contact with mine, saying so much without words. Her long, beautifully shaped, dedicate fingers wrapped weakly around my hand and we connected – she has suffered so much in her life. 10 years in an orphanage, one of them in foster care where she deteriorated so returned to the orphanage a year ago. 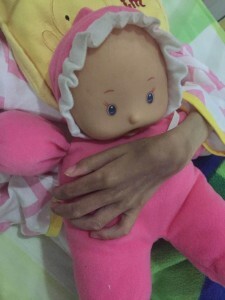 Since then she has had multiple episodes of chest infections and diarrhoea and is not eating well – she is now too weak. “To see and share the pain of such vulnerable, lonely human beings is very hard most of the time, a cost to health, emotions and our lives. It is also a very privileged way of life – to be allowed to work in such settings and to be able to do something for some of the children. I’m so happy for this girl that she get the love of the butterfly hospice!!! !